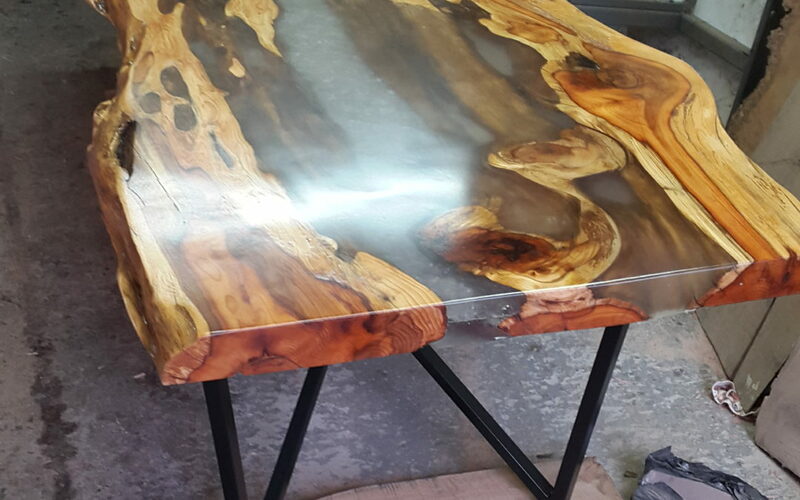 Resin river tree wood dining tables, comprise of slices of tree cut along its length. 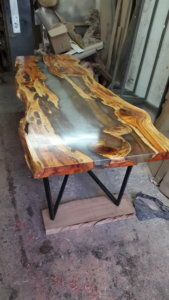 Resin river tree wood dining tables, consist of the tree slices book matched on opposite sides, as a result they have a mirror image. The middle of the table is left as a gap which is filled with resin, this is called the river. Can also have the waney edge on the inner edge of the boards, also know as the natural edge, the straight edges are the outer edges making it possible to be used as a worktop or bar top. Variation of colours of the resin feature are adaptable to a colour to suit any interior. 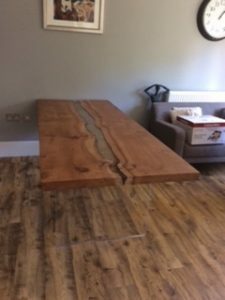 Pictured table below is English elm on perspex slabs, the simplicity of the legs accentuates the natural beauty of the slab.